Thousands gather in Denver to demand an end to family separation | Fight Back! 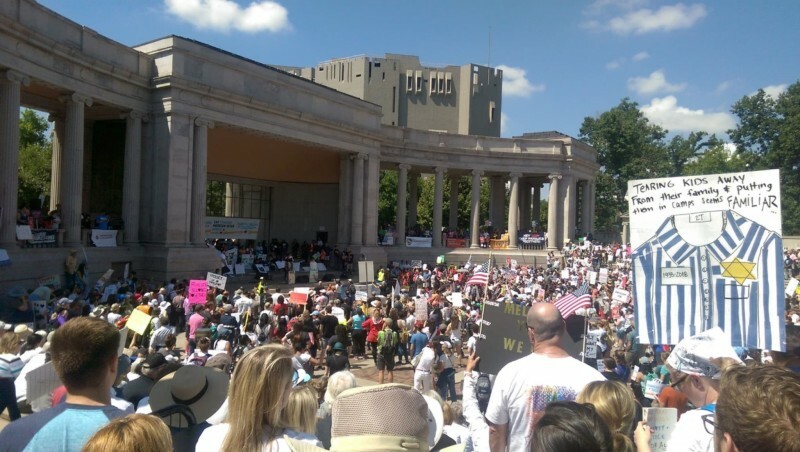 Denver, CO - Over 3000 people gathered in Denver’s Civic Center Park, on the morning of June 30, as a part of nationwide demonstrations against the Trump administration’s cruel policy of separating immigrant families at the border. Speakers at the rally called for the abolishment of the U.S. Immigration and Customs Enforcement (ICE). The rally was followed by a march through downtown Denver.